Upon returning from our short trip to Malacca last weekend, we were most happy to find our copy of The Adventures of Squirky the Alien #3 in our mail box, with a personally autographed note from Aunty Melanie to our two boys. Melanie's son C is a good friend of Z and E, and they were once again thrilled to find her picture on the back cover. "Aunty Melanie wrote this?" Z asked in awe. He then proceeded to tell me that he wished that I would write a book for them too - "One on zebras for me, and one on giraffes for E, okay?" Fast forward a week, and we have read Squirky #3 for a total of five consecutive nights. When I suggest another bedtime story for variation, Z says, "But Mummy, it's so scary and exciting!" Z thinks that the Red Commander looks really fierce and scary on the cover! It is indeed - this third book in the series has the elements of suspense and fear which make for a story which boys love. For those who missed out on the initial storyline, in the first book Squirky realises he is different from the rest of his adoptive family and is told that he was adopted because something had happened to his birth papa and mama. He goes off with his sister Emma on a search to find them. Book #2 develops this further when they both arrive on Planet Q, only to hear from a sombre Queen Stella that the planet his parents had been living on was destroyed when an asteroid crashed onto it. Some of the survivors escaped to Planets R, P and S, and Squirky and Emma decide to travel in their little space ship to Planet R, where this story starts. The 'R' in Planet R seems to stand for "red", as it is where the siblings first encounter the Red Commander and his loyal assistant, The Red Sergeant. Melanie mentions in her foreword that this book is really about the feelings adoptive children might encounter in their journey of self identity and the search for their birth parents. The processing of emotions is part of their journey, and being able to validate these emotions as various parts of their adoption story unfold is part of the cycles of understanding and healing that will occur, possibly over a lifetime. This factor was precisely why our boys loved Squirky #3, and so did I. Rarely do children's books portray character's emotions in such a clear and candid manner. 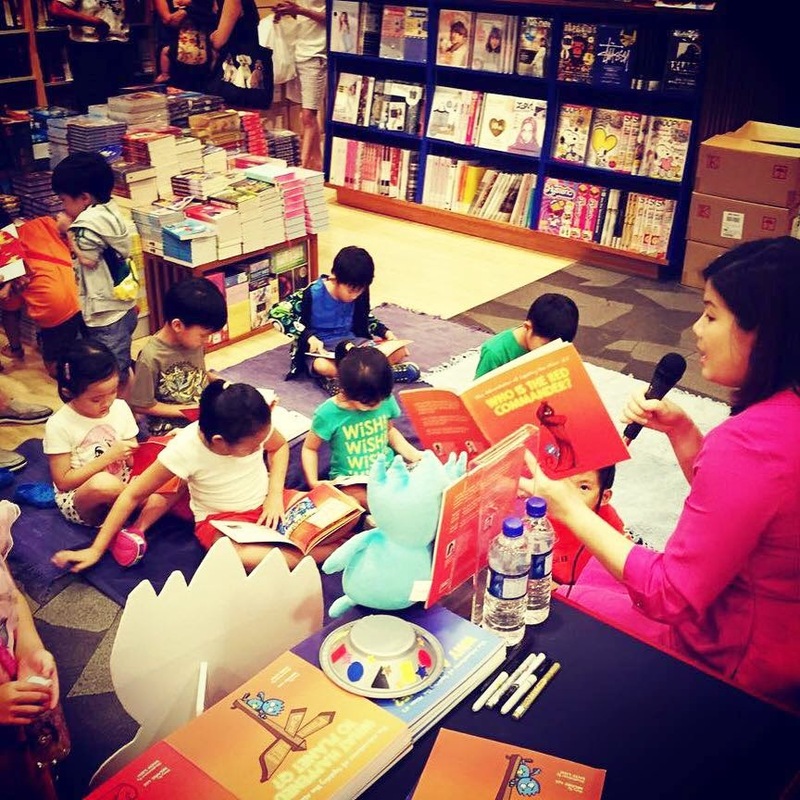 Melanie's prose is simple and easy for young children to understand, and David Liew's vividly colored illustrations with their stark outlines convey the message clearly. Squirky and Emma realise that behind the Red Commander's harsh exterior is a kind friend, whose anger was a mask for the sadness he had faced in his past. We meet the Red Sergeant in all his apparent bossiness, and see his outward demeanour gradually soften as the plot moves on and realise he is a kind man at heart. The Red Commander is hugely scary in appearance, clothed in a scarlet robe; but we soon realise that under the anger lies a deep sadness and regret for his past actions. The characters are complex in their emotions, and the boys could really relate to this. Being 4 and 2 years old comes with often confusing and perplexing mood swings as well! As a counsellor, I like the book for exactly these reasons. It was a perfect opportunity to teach the boys that anger is a secondary emotion, and when we are angry it is usually because we are actually sad or fearful or ashamed. I was pleased to see that Z was very thoughtful when we discussed this concept. The book also gives permission to kids to express their emotions and find resources to handle those feelings, and Squirky and Emma are given the chance to help the Red Commander to do the same. Squirky #3 addresses issues of growing up which all kids go through, not just kids from adoptive families. Squirky #3 continues to address issues of adoption while at the same time speaking to the issues which every child is faced with. Squirky gets the opportunity to finally meet someone who looks like himself. Kids who were adopted sometimes wrestle with issues of wanting to find someone whom they share certain genetic traits with, or wonder whether they take after their birth families in certain ways. This search for their birth family is often likened to a quest, which Melanie depicts particularly well in her books. We have heard the stories of many adoptive parents in our various interactions in the education sector. These parents share about their children, now in their teens, who often express a desire to seek out their birth parents. And as in all quests, there will always be an ending. Adoptive parents are always faced with these all-important unanswered questions: Should I let my child search for his or her birth parents? What if he or she chooses never to come back? Melanie provides some answers to this question and other awkward issues at the back of the book, in a little "FAQ for Parents" section. Where will the adventures of Squirky take us next? Well, for us, the number one question on our mind is what will happen next to Squirky the Alien. 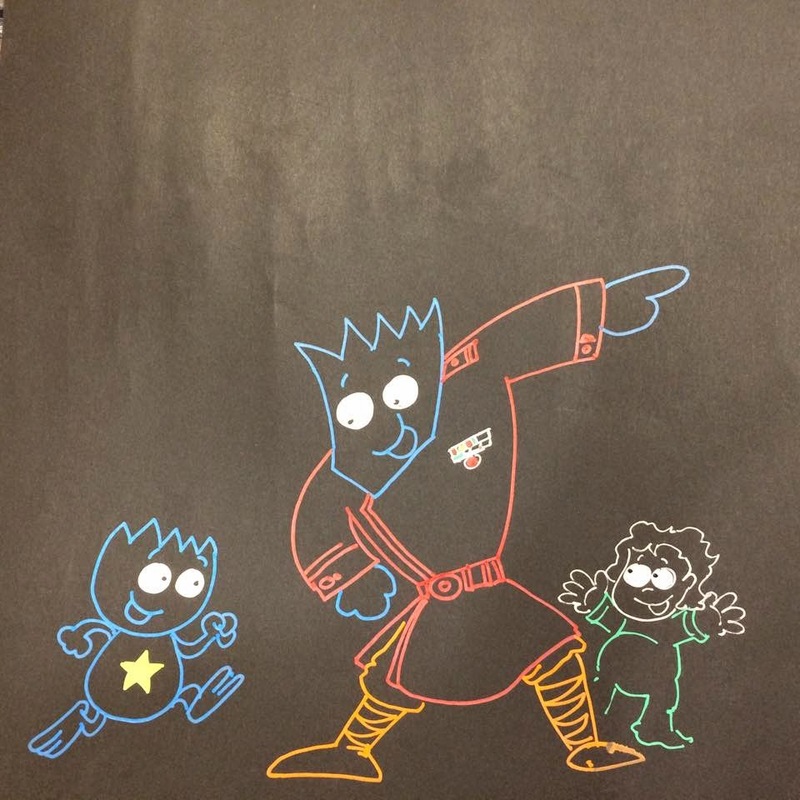 The loveable blue alien with a big heart continues to endear himself to his readers. "Is Squirky going to find his Papa and Mama?" Z asks as he sees them take off in Mr Quentin's purple rocket. I don't know, Z, but let's wait and see what happens in the next book, "Where is My Mama?" 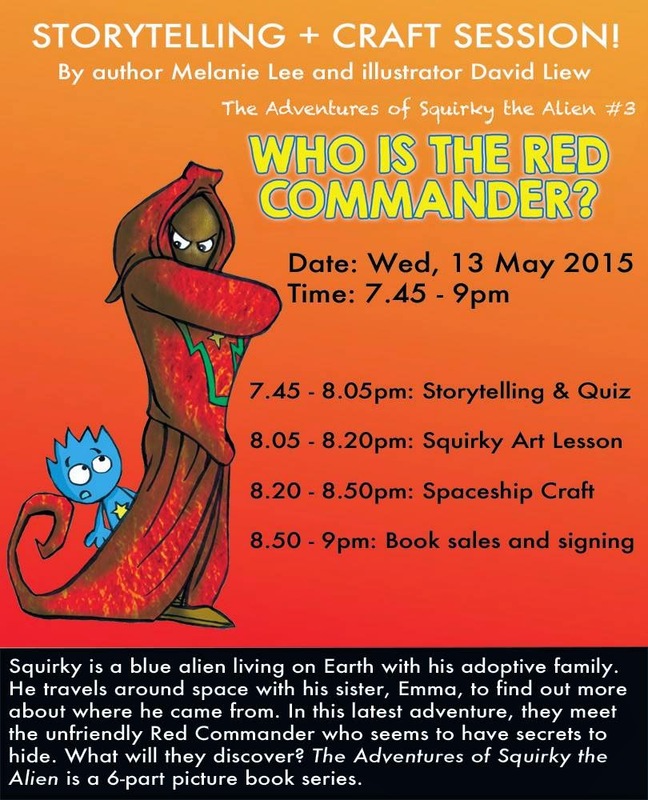 You can join Melanie and David at this upcoming event at the Bukit Timah Community Club. The event is FOC and no registration is required. 4. For an extra chance of winning, tag three other people in your shared Facebook post! Please leave a comment on this blog post telling us you have done Steps 1-3 and include your email address so we can contact you should you win. 5. 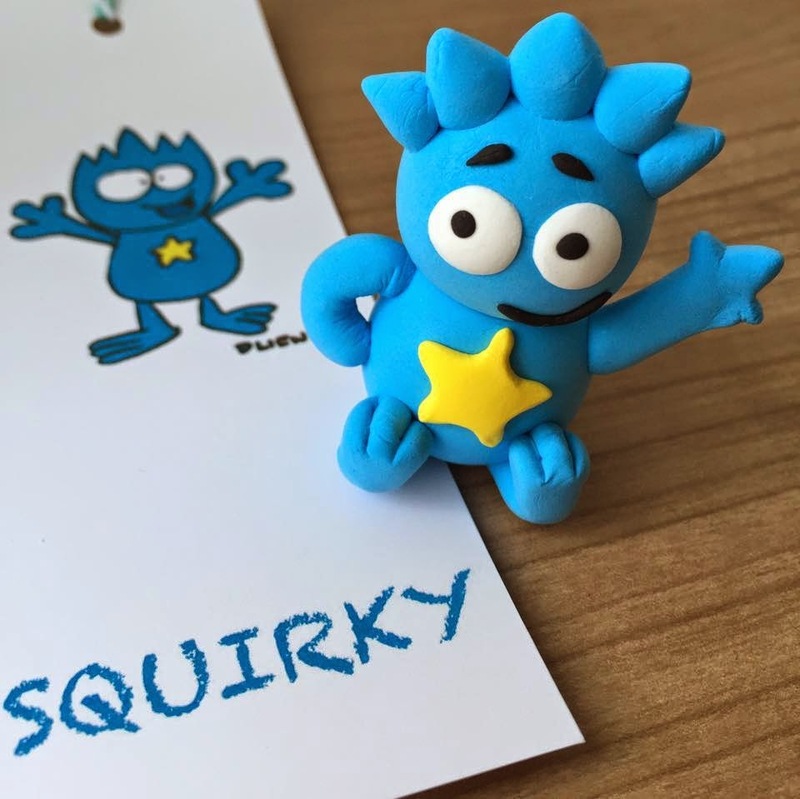 Leave an extra comment on this blog post sharing one thing that you have learnt about adoption from the Squirky series. If you would like to purchase copies of any of the books in the series, please refer to this link. Do click here for a link to our review of the previous book: Squirky #2 - What Happened to Planet Q? I have learnt the importance of raising awareness of adopted children and families with adopted children in my own kids, so that they may respond sensitively to such children in their schools in future. Done Steps 1 to 4. Thank you!